If you have been reading this blog over the last two months, you know about the young men and women who are currently between the ages of 18-30.Â They’re called Generation Y, Millennials, Echo Boomers, and Connecteds. By whatever name, this generation of youth born after 1977 represents more than 70 million consumers in the United States. They earn a total annual income of about $211 billion, spend approximately $172 billion per year** and considerably influence many adult consumer buying choices, so no longer are they the youth that will be seen but not heard — and marketing professionals need to take notice! Generation Y cannot be reached through traditional marketing channels. Direct mail, print ads, and television advertising bounce off these powerful consumers like bullets on Superman’s chest. They are impermeable to the marketing messages that appealed to their parents and grandparents. 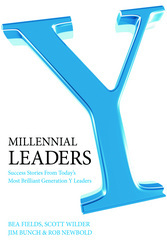 Generation Y represents a massive group of influencers — the largest, and the most cutting edge generation in our history. They cut their teeth on technology, grew up with the knowledge they could do anything (because their parents and teachers told them so! ), and the desire to make a difference in their world. So how do you break through this marketing barrier when they can choose their own music without listening to a commercial radio station, can block outsiders from their social circle — which revolves around cell phones and online networks like Facebook and MySpace — and only refer to newspapers when they need packing material to move on to their next venue? In my work with emerging leaders, I’ve discovered many ways in which marketers have totally missed the mark with Generation Y consumers by not acknowledging their motivators. So let me clue you in to the ways in which you can effectively connect with this growing market of savvy spenders. 1) Respect them as consumers: Members of Generation Y are tech savvy and highly intelligent. Don’t talk “at” or “down to” them. 2) Get to know them. Before they will do business with you, Generation Yers want to know that you care enough to find out what makes them tick. But don’t rely on the old method of marketing surveys. Get out there and talk to them. Find out how they spend their free time, the music they listen to, and what they eat, wear, read, watch, and drive. You might just be surprised by what you learn! 3) Look cool and hip: As Steve Jobs said about his Apple iBook: “I wanted to make the computer look so cool and so attractive that Generation Y would want to lick the screen.” Generation Y will buy based on a sleek, beautiful, cool-looking package. To see what’s working, visit http://Apple.com. 4) Be socially responsible: Generation Y is incredibly conscious about social causes including the environment, animal rights, and world hunger. They want to know that your company is aligned with a cause that creates an emotional connection with them. 5) Be real: Young consumers can spot a phony from a mile away. Don’t try to talk the talk if you don’t speak the language. Be honest and open. Drop the old sales-speak and be sincere when marketing your products and services. 6) Join their networks: Generation Y will not come looking for you. If you want to attract Generation Y, go where they hang out: social networking sites.Â MySpace , Facebook, Twitter, Delicious, and Second Life are the hot sites for Generation Y and cost nothing to join. Invest time in reading what they are writing about and getting engaged in an online conversation, and your return will be the knowledge of how to market to them. 7) Take it to the streets: Today’s youth love experiences. Promotional stunts, product sampling, and rollouts in a strategically placed venue attract the young urban buyer. They thrive on word of mouth marketing, and street marketing is one of the best ways to create buzz for the young consumer. Today’s smart marketers use street teams and event marketing to reach Generation Y. For more information visit http://www.streetteampromotion.com and http://www.mryouth.com. 8)Give them a chance to win: Generation Y is wild about winning a contest or receiving a gift, especially if it’s meaningful to them, like an iPod, a trip to a national snowboarding competition, or tickets to a hot concert. And you’ll always be able to reel them in with great java and food. But one caveat: Generation Yers travel in groups so be sure the gift or prize includes enough spending power for them to bring along their friends. 9) Go viral: YouTube turned the Internet from an information highway into an entertainment complex without walls. Video (vodcast) and audio (podcasts) bits uploaded to your site can spread across the Internet as Generation Yers share their favorites with their friends, who pass it along to their circle, and so on. 10) Text them: I hear many older generation leaders saying, “I don’t text message. I don’t even use e-mail.” If you can’t connect with their preferred method of communication (texting over email), forget about reaching Generation Y. Learn how to integrate mobile technology in your marketing efforts to get into their networks and be seen. Look at how popular shows like American Idol use texting to vote for their favorite performers, because the producers recognize that their audience is primarily is Generation Y! Generation Y is not difficult or complicated. They are truly unique. And these young people are going to be your customers, if only you learn how to reach out to them. ** Harris Interactive 2003 Youth PulseSM Survey, www.harrisinteractive.com.